The difficult challenge of selecting souvenirs that possess some practical use is actually possible to achieve in Tallinn. 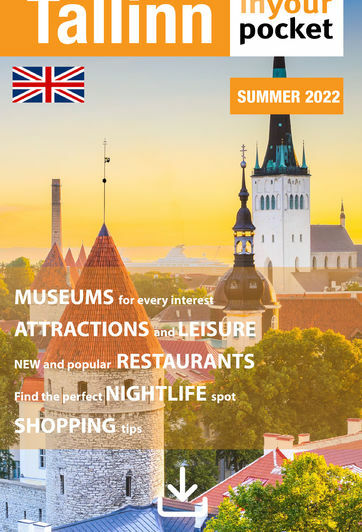 However, just as in any town heavily reliant on tourism, you could also go poor buying useless crap or items that really have nothing to do with Estonia, such as the ever prevalent Russian nesting doll. Just like the nesting doll, Old Town is filled with souvenir shops, some even inside other souvenir shops. Here we have listed just a few that specialise in various gift items. See the ‘Authentic Estonian’ section for souvenirs that truly represent this country. Local design and small factory production is tastefully combined at DEKO, where you can find unique handmade gifts items and lots of cool retro stuff too. Everything for sale in this large souvenir shop was either designed or produced in Estonia. From food and drink to handicrafts - it can all be found here. This little shop with an interesting name sells items by Estonian folk art and handicraft masters, where you're sure to find something different. Established in 1806, Kalev is Estonia's oldest confectionery, specialising in chocolate and marzipan.